Customized your bumper stickers in any shape and size. 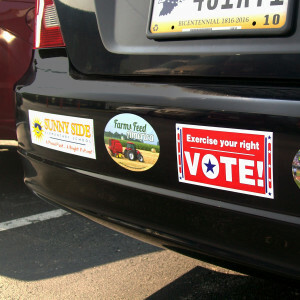 Traditional rectangle bumper stickers, circles or ovals are all printed on an extra durable vinyl. Order as little as 50 stickers. We print the highest quality car bumper stickers around. Our stickers are available in a traditional rectangle, oval or circles. Waterproof and UV resistant ink holds up for years. Print from 1, 2 or 3 spot colors to 4 color process. Rectangle Bumper Stickers includes a 1/4 tab for easy removal. Oval and Circle bumper stickers will be scored on the liner. Easy to remove after applied without any glue left behind with our removable adhesive. You can have the option to print on the back of the sticker which is also called the liner. Easy removal after applied and will stuck stuck until your ready to take it off. 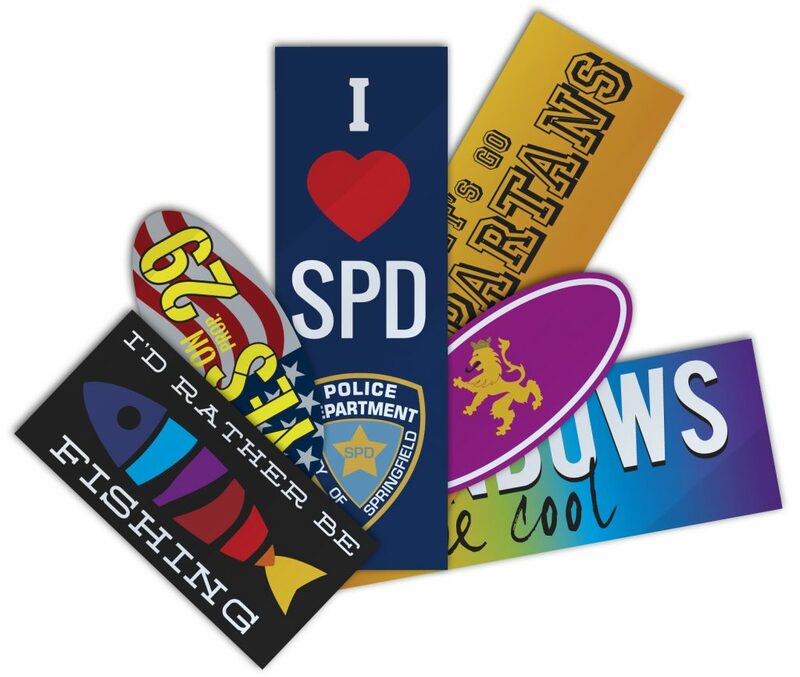 Create your own custom bumper stickers and decals by expressing your own saying or getting the word out on your school, church or upcoming political event. Blue Line Labels delivers your order accurate and on time. Our 20 years of art, design and print experience will assure you of an excellent quality product and a professional cost effective relationship. We can help from concept to completion or anywhere in between. Contact Blue Line Labels at 1-800-609-7079 for all your custom bumper sticker needs.